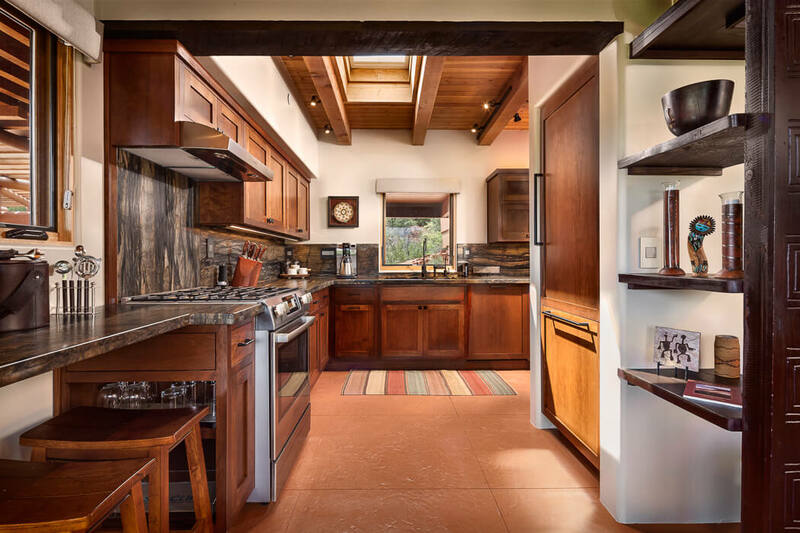 Sedona’s five-star luxury vacation rental, Sun Cliff is a one-bedroom casita set on 24 acres with Arizona’s finest Cathedral Rock views. Tucked into the scenic landscapes of Arizona there stands a place of sacred beauty. Sedona, a magical place, where the splendor of nature is revealed. A stunning testament to nature’s majesty, where red rocks rise into sculpted formations and rivers rush through timeless canyons. A romantic delight, where daytime adventures fade into fire-lit evenings luxuriating in your outdoor spa. Hours spent gazing at the unobstructed twilight views of Cathedral Rock and the hypnotic twinkling of endless starry sky. Welcome to Sun Cliff, a unique luxury resort for two. 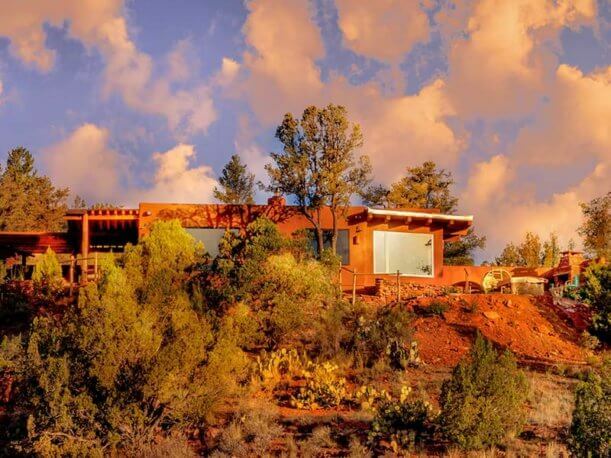 Tucked into the heart of Oak Creek Canyon, on 24 private and gated acres, Sun Cliff is a romantic tribute to the beauty of Sedona. 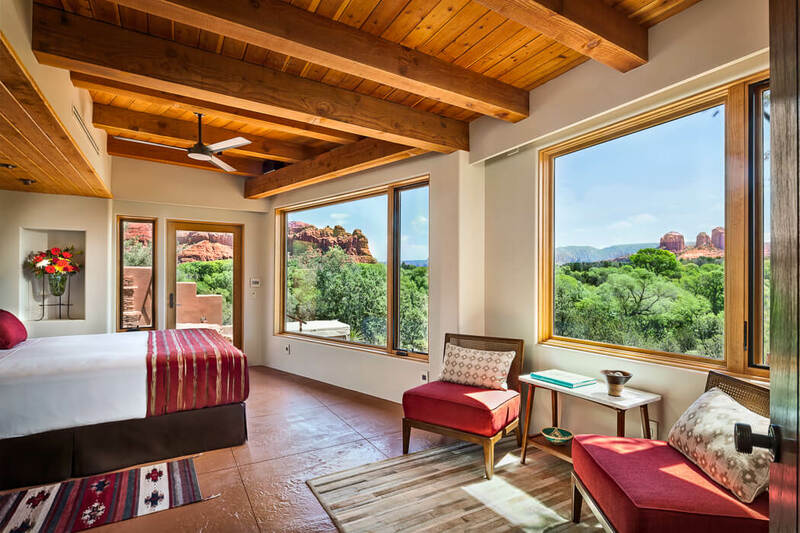 Overlooking melodic Oak Creek, our one bedroom casita, sits amidst striking red rocks, with the most breathtaking views of Cathedral Rock. A secluded home with the amenities of a five star hotel. 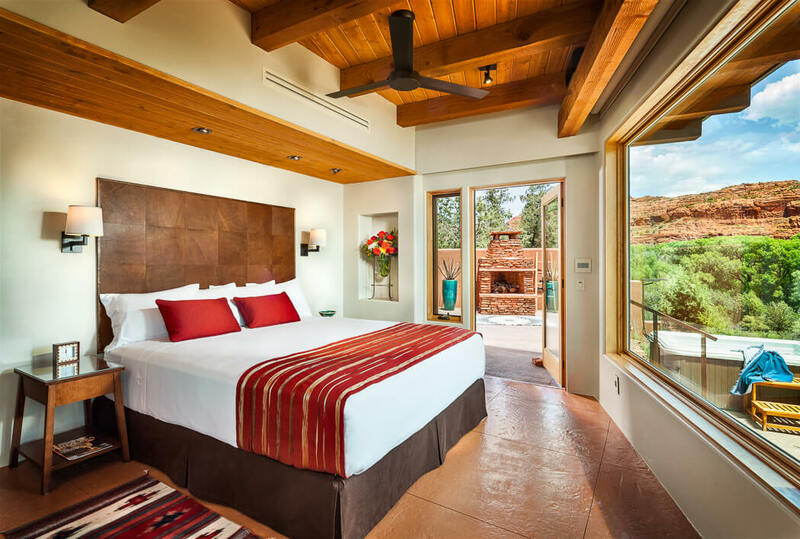 Sun Cliff, exclusively yours, an unparalleled choice for an unforgettable Sedona experience. Nature doesn’t stop at our threshold. 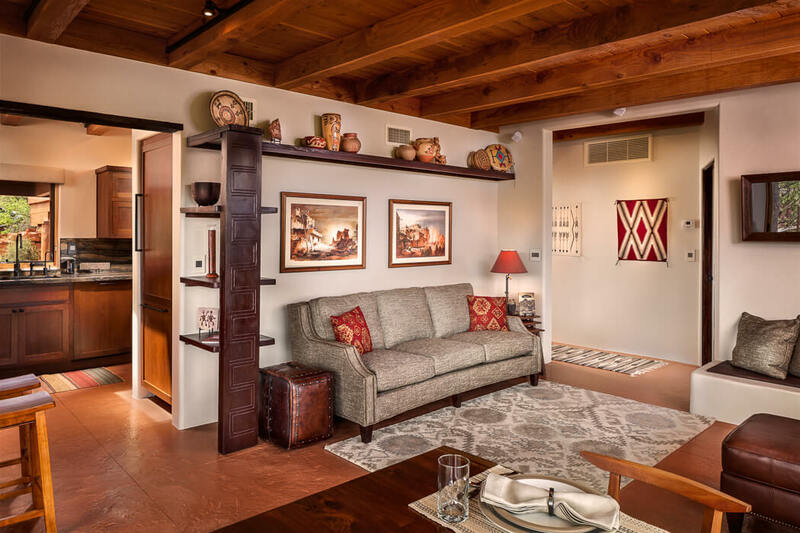 We’ve reimagined luxury, incorporating elements from the landscape that bring the outdoors in: warm woods, granite that mimics the flow of the sandy river bottom, live edge dining table, and colors that reflect Arizona’s earthy color palette. 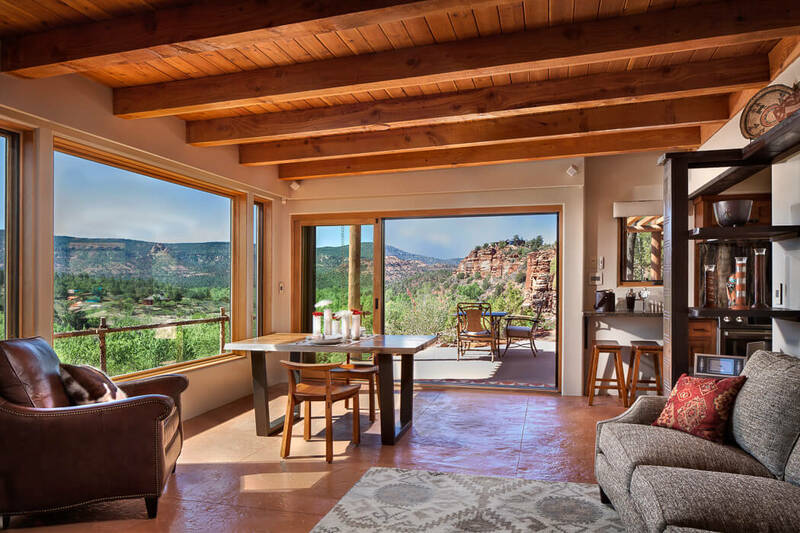 Sun Cliff brings luxurious comfort to nature with cozy love seats on the patios, outdoor red rock fireplaces, a soaking tub perched on cliff’s edge and a two person jacuzzi facing Cathedral Rock. Elegantly simple (and simply elegant), Sun Cliff is a one-bedroom casita designed for stunning views. 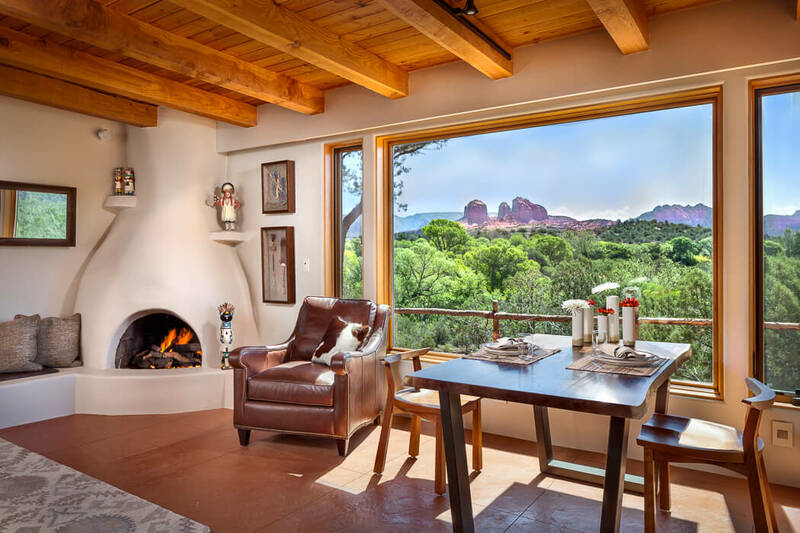 Every window is carefully placed to capture the magnificence of Sedona’s Cathedral Rock and red sandstone, green valley, and musical Oak Creek – a creek that sits within your own, private 24 acres. 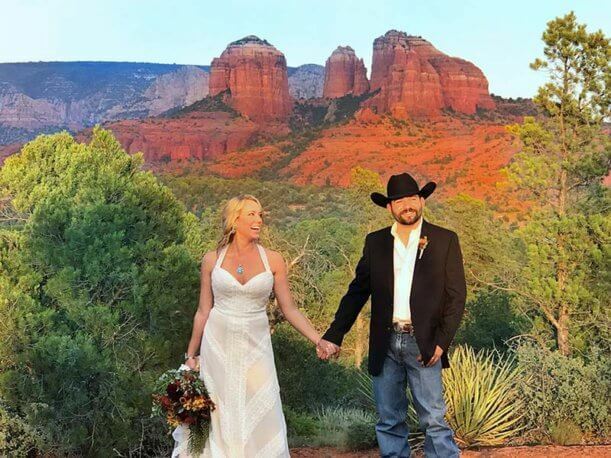 Quiet and intimate, Sun Cliff is the perfect destination for couples seeking a luxury elopement or intimate wedding surrounded by the beautiful Red Rocks of Sedona. 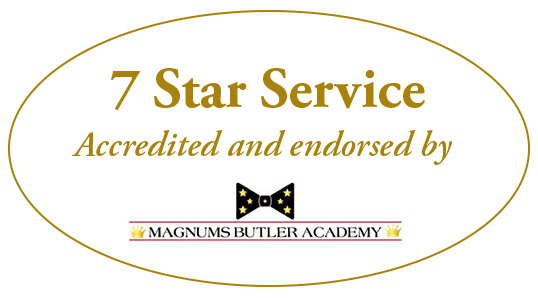 Priced well below the luxury hotels in Sedona, we provide a higher level of luxury amenities and service without any “resort fees”. Escape to the comfort of a private resort where every detail was designed with you in mind. 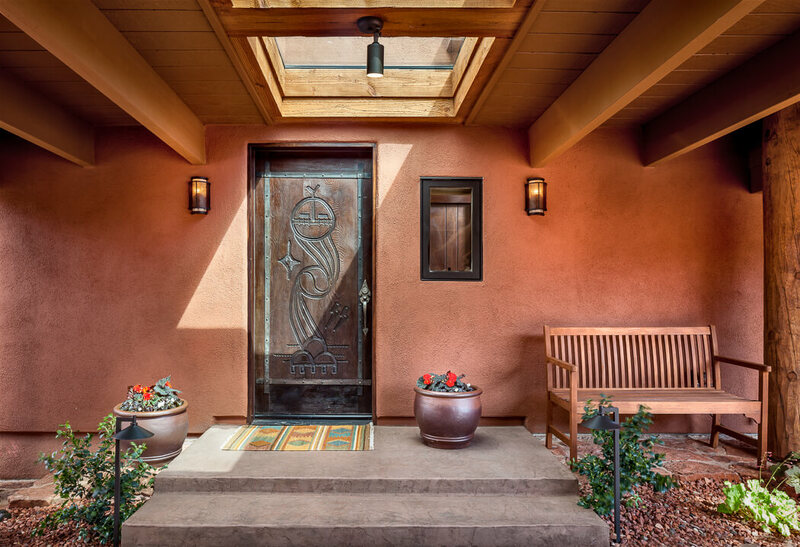 From the moment you contact us, we begin to customize your stay at Sun Cliff.